We all love food. 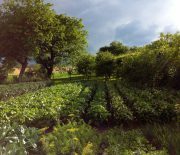 But growing tomatoes, potatoes and other food won’t make your garden look beautiful. Luckily, if you’re looking forward to growing your own food, you can bet on some flowers. They can be left alone, making your garden beautiful, or they can be used to give your favourite dish a twist. Whatever your choice may be, here are ten wonderful flowers that you can eat both for taste and for health reasons! The Calendula flowers are super easy to grow. They’ll keep putting out flowers until it gets cold, which makes them a perfect companion for your salad. The plant has a historical use as a stomach ache remedy, relief fevers and even boost the immune system. 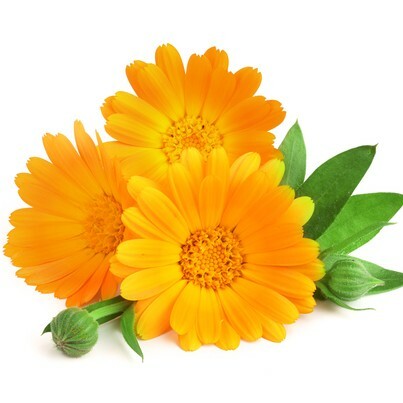 Calendula is also used for skin care products and massage oil. The anti-ageing properties of the plant are perfect if you want to battle those wrinkles on your eyes. Of course, the calendula plant is a perfect as a DIY face moisturiser. Adding some calendula to your vegetable broth is an amazing way to give it a twist in taste. Calendula plants are easy to grow. The only requirement is to plant them in a sunny place. The plant loves the sun and will become lanky if put in the shade. Position them in a place where they’ll get about nine to 10 hours of sunlight per day. Calendula plants can tolerate low-water conditions, requiring no more than 5 centimetres of water per week in dry and sunny weeks. The plant rarely suffers from serious pest infestations (making them a perfectly edible plant), however, they can attract aphids and whiteflies. Sometimes, calendulas may suffer from a fungal disease that causes white patches. The only cure is to remove any affected plant tissue and dispose of it immediately. Both the flowers and the leaves of the Nasturtium are edible. They have a peppery taste so it’s best not to mix them with Chili Peppers to your dish if you’ve already used Nasturtium. This plant will add a bit of excitement back in your life. Perfect to mix with your pesto, mixing a bit of Nasturtium is the perfect way to introduce some spiciness to the sauce. 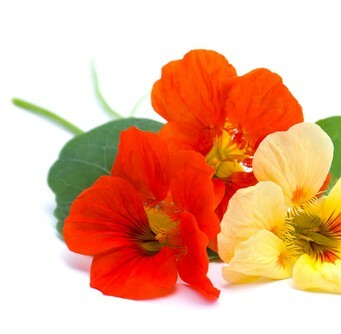 Nasturtium has been used as a way to cure scurvy. It was also the go-to spice to add flavour and every home in the past had nasturtium plant. Something like black pepper for us today. The nasturtium plant contains high amounts of Vitamin C, making it a perfect supplement to your salad and a great way to increase your plant-based vitamin intake. It’s best to plant your Nasturtium seeds in early spring in a full sun place and a well-drained soil. The plant doesn’t need fertilisers and is better off in poorer soils. Nasturtium plant needs regular watering. Make sure to cut off any faded or dead flowers. The plant tends to suffer from flea beetles, caterpillars and aphids. Poppy flowers come in many different colours and sizes. If you want a flower that is more drought tolerant this is a good choice. When these flowers are done you can harvest the seeds to use in your baked goods. While the poppy plant is a world-famous opiate from the dawn of time, the seeds of the poppy plant can be eaten. Some of the benefits of consuming the plant seeds are the perfect cure against stomach-related problems and can even alleviate asthma. Of course, you can use poppy seeds in porridge, cakes, glaze and different pastry filling. While poppy plants aren’t tricky to grow, the right planting period is important. 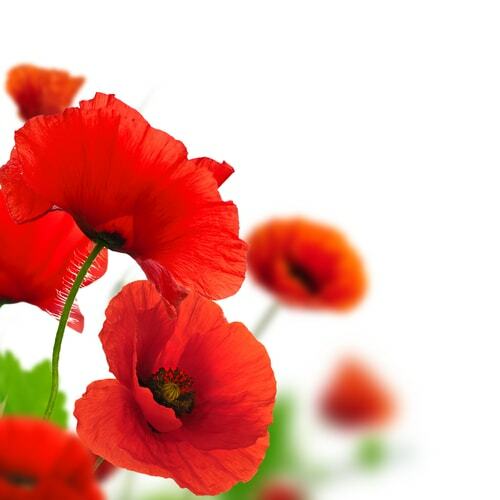 It’s best to plant the poppy seeds in early spring. Aim for places with either full sun or partial shade. As the plant is difficult to transplant, we do not recommend to grow it indoors. Poppy plants require very little care. Water a little every week and weed out any weeds. That’s it! The plant is otherwise quite sustaining. When this plant is young the leaves taste nutty and are easily distinguished from all other greens. Later the leaves get a little more bitter and the petals are the one that tastes like the leaves. Chinese Chrysanthemum is not a picky plant about the soil it will be grown into. They’re drought tolerant and can be easily transplanted. They are also great for a hot cup of tea when the growing season is over. When you cut away the flowers that are done blooming you’re encouraging new blooms. Chinese Chrysanthemum is the perfect tea plant. 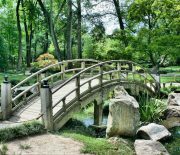 The tea from the plant is used to cure prostate cancer. It can also help with high blood pressure, fevers and colds and even type two diabetes. Depending if you’re growing the chrysanthemum from seed or you’re got it potted you’ll approach the growing technique differently. Potted Chinese Chrysanthemum is often treated with a growth regulator, just to keep them dwarf-ish in size. They won’t get to the size of a plant grown from seed. Chinese Chrysanthemum prefers to be grown in a cooler climate. It’s best to plant them in a place where they’re protected from wind. While chrysanthemums can be plagued by pests, often they’re easy to manage. Earwigs, snails and black aphids are among the most common pests. If you find brown rust on your leaves make sure you remove the infected leaves. Chamomile is one of the widest spread plants in the world. Australia isn’t behind. It’s a popular choice for teas and salad decoration. 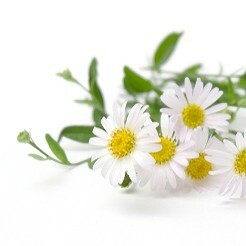 Chamomile tea is an amazing way to slow or even prevent osteoporosis. A cup before you go to bed can help with your sleep. Of course, the camomile tea is a great way to cure and ease colds. However, if you have a history of severe allergies, especially from pollen, we advise you avoid camomile tea. The chamomile plant thrives in well-drained garden beds. Planting them in full sunlight is mandatory. The plant has to be watered once a week. Once the plant starts to die in late fall, make sure you cut it back to two to three inches of the ground. Remove the clippings as they can gather pests. Тhe flowers of Capers are gorgeous. When harvesting capers you’re actually picking the buds of the flowers. One full-size bush will get you about 1-2 jars of capers. 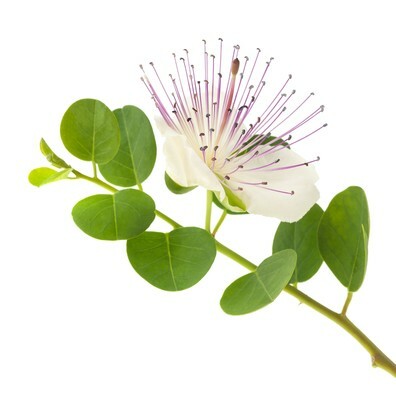 The power of Caper plants is hidden in the amount of antioxidants that they contain. The amount of antioxidants contained in them show great results in battling heart disease. Capers are perfect for cooking a delicious linguine dish making it an awesome way to give your Italian dinner a bit of a twist. Capers prefer strong sunlight. The plant is tolerant to drought as it develops deep roots. The caper buds are best to be picked at the immature stage. 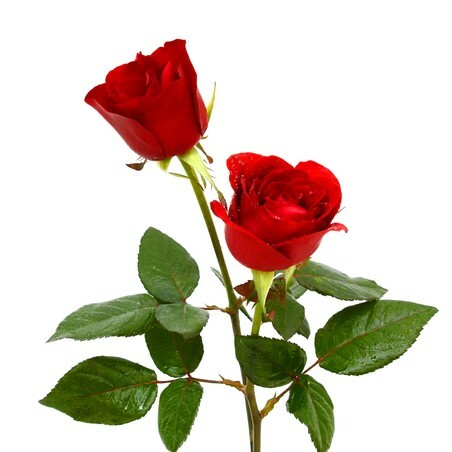 As long as your roses are grown organically and not treated or sprayed with any chemicals the petals are edible. You can also make a luxurious facemasks. Roses are a wonderful investment for your garden because they will just keep blooming year after year, as long as they get enough sun and water. They are not very particular about the type of soil they’re in and would just continue to bloom until it gets cold. Roses are full of vitamin C, pectin and citric acid. Consuming your rose plant in the form of a tea is an amazing way to get the full health spectrum of the plant. The rose tea is made with fresh rose petals. Rose plants love sunshine. Make sure you plant them in a place where the plant is exposed to minimum of six hours of sun per day. As the plant requires regular pruning in order to maintain its beauty, we suggest you learn how to prune roses, or maybe hire a professional to do it for you. Depending on the weather and the soil, your rose plant will require different amounts of water. As the rose plant can get infected with pests quite easily, it’s best to look after your rose plants, as it’s much easier to deal with plant pest problems in the early stages. 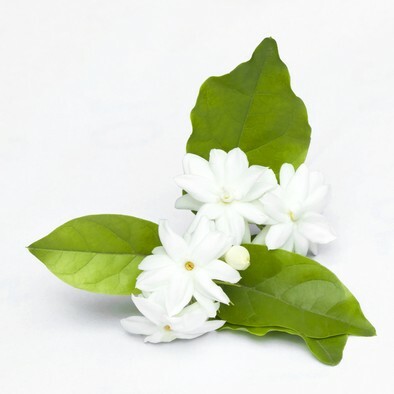 There are many different types of Jasmine but the only kind that is edible is the Jasmine Sambac. It is also called Arabian or tea Jasmine. This type of Jasmine is used to infuse tea. Jasmine Sambac is moderately fast-growing, enjoys heat, quite tolerant of drought and the best part is that they put out many flowers. You can soak them in filtered water overnight to wash your face in the morning. Or you can even add them on top of a pot of freshly steamed rice and you’ll get jasmine rice. Jasmine Sambac is an amazing anti-ageing remedy. The aroma of the Jasmine is soothing for the skin. Jasmine Sambac love sunlight, so planting it in a sunny spot is a great choice. You can plant it alongside fences. The flowers attract butterflies. It’s best to be grown indoors if you live in a harsher climate. The plant thrives in topical or similar climates. 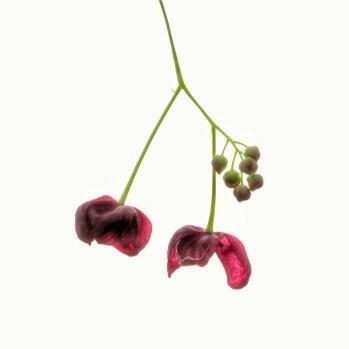 Akebia vine is also called chocolate vine. It is native to Japan, Korea and parts of China. The plant prefers growing in cooler climate. They’re fast growing so you’ll get abundance of pods to enjoy. The flowers smell somewhat like Jasmine and the pods taste like sweet jelly. The plant is famous to containing anti-inflammatory agents and it’s great for headaches and it can also have positive effects on the liver. The fruits of this vine can also be consumed in a salad, made into tea, or turned into wine. Growing this vine requires you planting it in a well-draining soil. If you’re looking forward to grow the fruits we advise you plant two plants in the same time to increase pollination. The vine doesn’t require any additional fertiliser, and the vine can grow with support to around 12 metres. The petals of the Freesia are edible and in some parts of the world they even infuse the petals in syrup. The best part of these bulbs is that they would just keep multiplying. The Freesia has a rich scent, often used in beauty products like perfumes. The plant is also a great air purifier making it the perfect fit for your house, or your backyard. No surprise here, the Freesia flower loves days full of sun. The best location for this type of plant is in a well-draining soil. Roots form in the fall season. It’s best to water the plant at the moment of planting, as it will settle the soil around the plant. Trying out edible flowers is a great way to give your food a twist. Depending on your choice you add flowers in salads, teas, baked goods and almost any type of meal. What are your favourite edible flower recipes? Share them in the comments. We can help you with growing your edible flowers! Let’s get in touch.